I love it when my couples are one in the same. Carol and Joe are like two peas in a pod and their happiness is contagious! 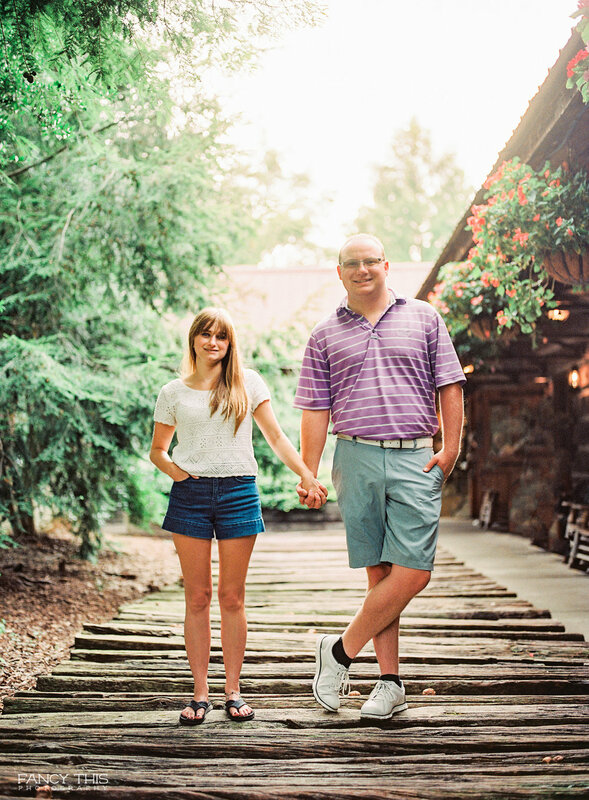 Carol and Joe plan to tie the knot later this upcoming fall at the beautiful and lustrous Cody Creek in Dobson, NC and I can not wait to see them say their "I do's!" If their wedding is anything like their engagement session, it will surely be a sweet one. I love that this year I have had the chance to document weddings all across the state, especially weddings in western Carolina. I am particularly fond of their session as it was shot purely on film, and it pulls at my heart strings with their cuteness. The best thing I could ever do for my couples is to make sure I give them intimate moments; gestures people normally don't notice, or genuine laughs that are never captured. It's the little things that people remember and hold close. I am glad to give that to them.